Summer Tennis programs for two groups: ages 10 and under and ages 11-14. Join us for a fun summer of tennis with a league for both men and women and a few social tennis tournaments. Sign-up info here. 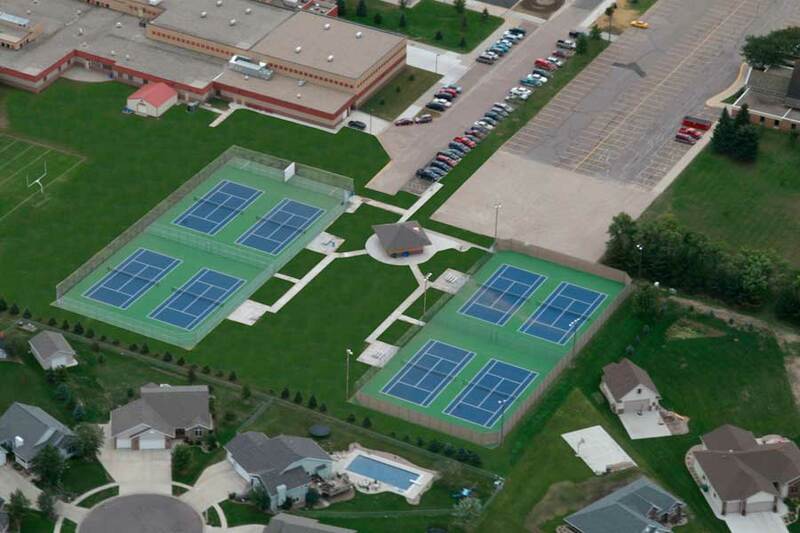 A list of questions and answers relating to service offerings of the Brandon Tennis Association. Access the 2018 Girls Tennis stats, info and photos on their Shutterfly account. you just pick them up at COMPETITIONS." If you are coming to one of our scheduled activities from out-of-town and need help finding the courts, then please click on the image for driving instructions and enter your location. 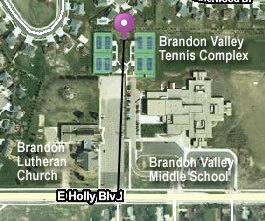 They are located North of the Brandon Lutheran Church main parking lot, between the church and Brandon Middle School.